If you’ve never been to Detroit, the Arkells have. And when they played Toronto Urban Roots Fest on July 5, they brought enough of Motor Town for everyone to share. 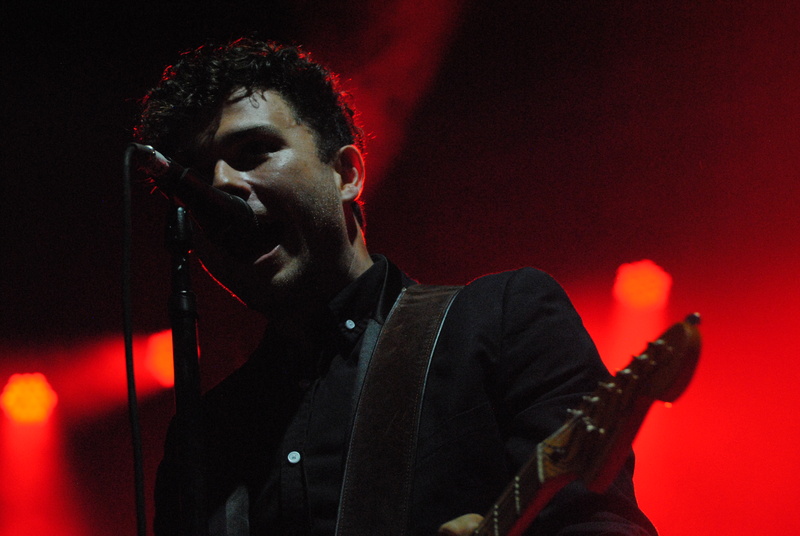 Closing out the regular portion of their TURF set with the Detroit-referencing “Where U Goin” from their 2011 LP Michigan Left, the Arkells then dove into a special collection of hits curated from Motown’s catalogue. The band contracted some help from super cover band Dwayne Gretzky to make it all happen; friends Tyler Kyte, Nick Rose, and Edwin Sheard played the less Arkells-like saxophone and tambourine parts as well as additional guitar and backing vocals. This entry was posted in Burden of Salt and tagged Arkells, Detroit, Dwayne Gretzky, Edwin Sheard, Four Tops, Hamilton, Jackie Wilson, Jackson 5, Miracles, Motown, Nick Rose, Stevie Wonder, Supremes, Temptations, The Four Tops, The Jackson 5, The Miracles, The Supremes, The Temptations, Toronto, Toronto Urban Roots Fest, TURF, Tyler Kyte on July 6, 2013 by Tom Beedham.